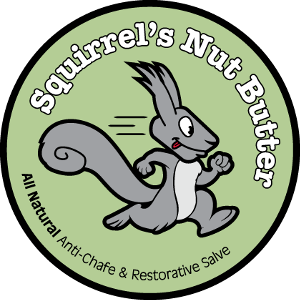 It was a beautiful morning for the sixth running of the Black Squirrel Trail Half Marathon. 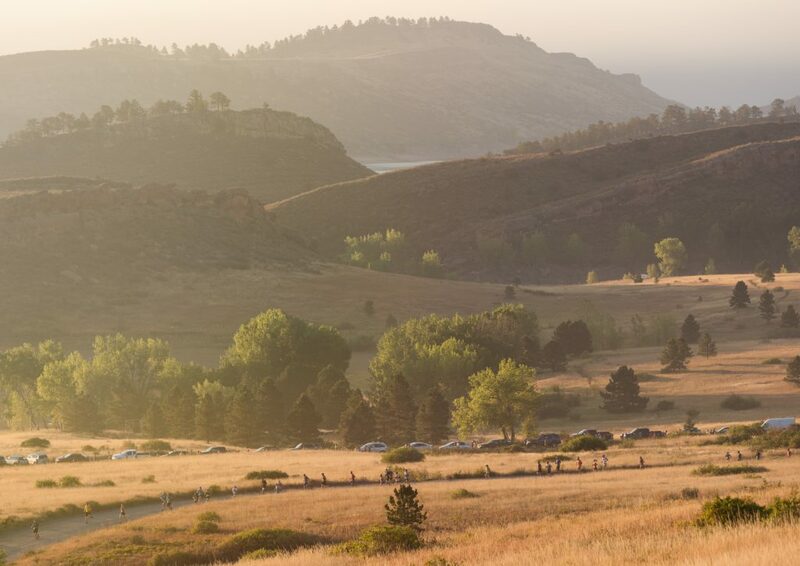 A sellout field of 320 runners took on the perimeter trails of Lory State Park on the 13.1 mile tour of some of Northern Colorado’s finest running trails. With defending champion and course record holder Stephen Pretak playing human-sized black squirrel and course marshal at the Howard turn, the race for the men’s win was wide open. Coming into the Arthurs West aid station at 8 miles, Frank Pipp had a small lead over Clint Anders and Chris Rom. 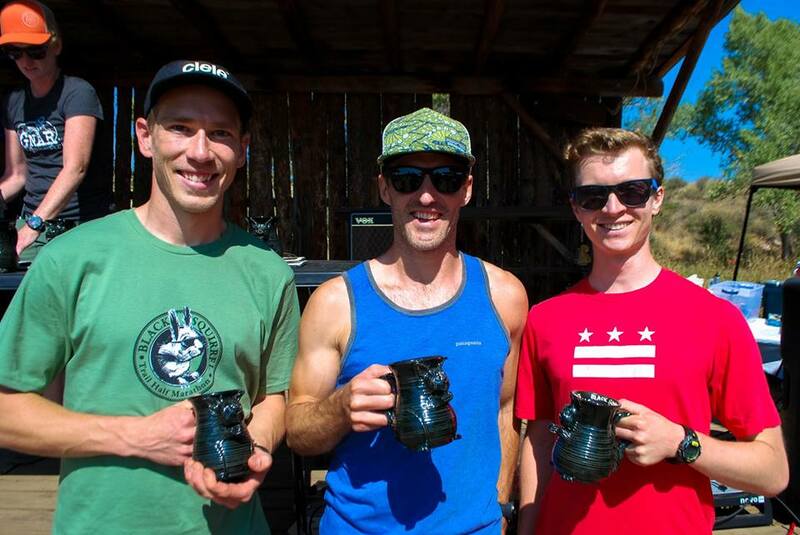 Second at both the Quad Rock 50 and Never Summer 100k, Frank would hold his lead through the flatter valley miles to claim the win and set a new master’s record of 1:32:02. 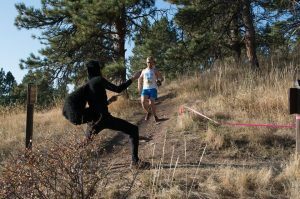 Frank is now a favorite to set a new record for the Gnar Slam, which will culminate next month at the 11th running of the Blue Sky Trail Marathon. Also riding high in the Gnar Slam standings this year is Clint Anders, who would also hold onto his Arthurs 8-mile position to finish second in 1:33:22. Chris Rom (1:36:13) rounded out the podium in his first Black Squirrel finish. Third in 2015, Ruth Waller-Liddle was back to run her second Black Squirrel Half, and this time she lead the race from pillar to post, with an impressive 1:52:43 finish, just narrowly pipped at the post by husband and race sponsor, Justin Liddle DMD. Broomfield’s Alisyon Hummelberg (1:56:49) followed four minutes later in second in her first Black Squirrel Half. Rounding out the podium in third, Coach Rachel Hulse was one place better and a minute quicker than in 2016, beating three-time runner up Sarah Roberts to the line by a scant 17 seconds. 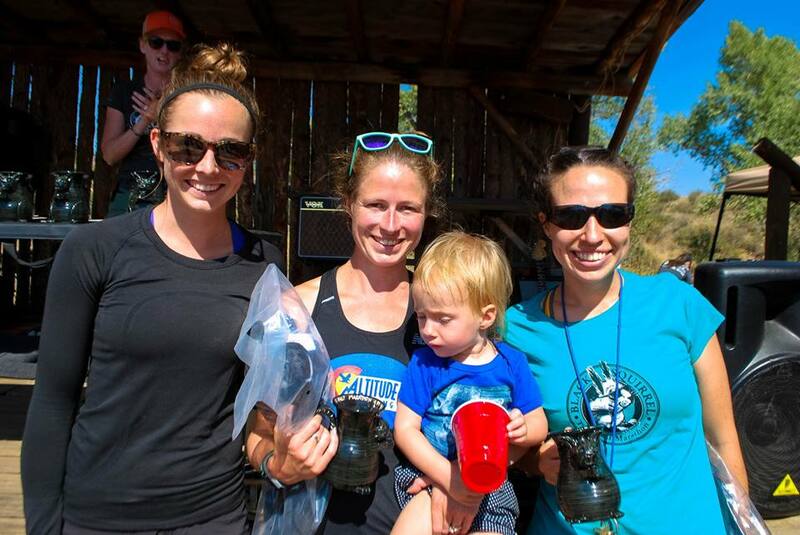 Prizes for overall and age group winners included Salomon running packs, Altitude gift certificates and Drymax running socks. Unique squirrel-themed awards were lovingly hand-crafted by Amy Hayman. Of course, our races don’t happen without the help of an army of volunteers. 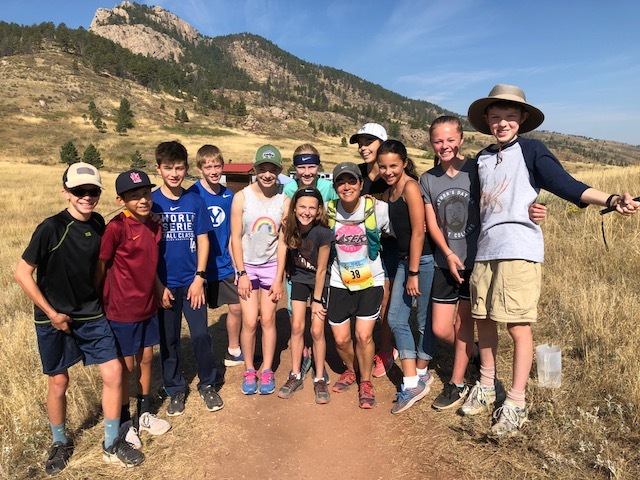 The Liberty Middle School XC Team was once again out at the Arthur’s aid stations, the CSU Food & Nutrution Club served up our post-race pancake breakfast, and as always, the Fort Collins Trail Runners community came out in force. Our volunteers shone bright and provided a wonderful race experience for all participants. So, once again, a huge thank you to all our fantastic volunteers. We couldn’t do it without you. 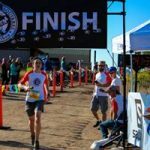 We also couldn’t do what we do without the help of our wonderful sponsors, all of whom are tireless supporters of the Northern Colorado running scene. Thank you to our top tier sponsors: Salomon Running, Altitude Running, Colorado in Motion, Drymax Socks, and Justin Liddle DMD. 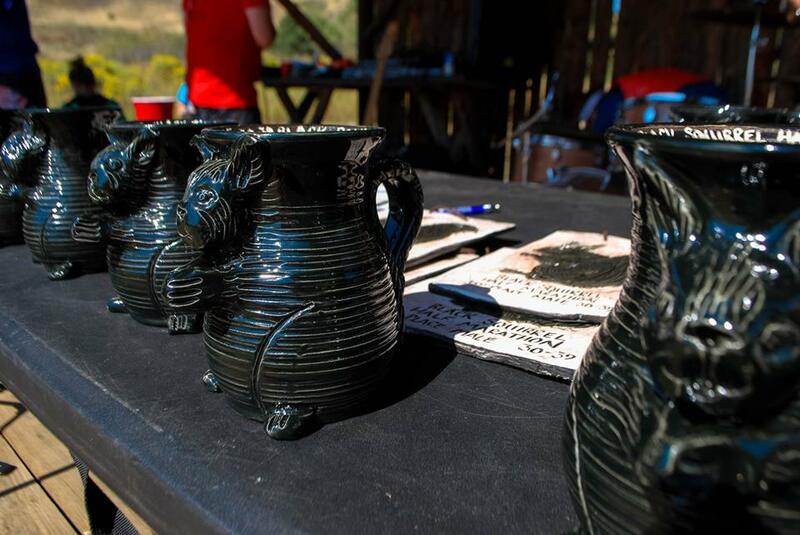 If you enjoyed Black Squirrel and are considering a step up in distance, why not join us on October 20 for the 11th running of the Blue Trail Sky Marathon. This local favorite will be our last event of the year. 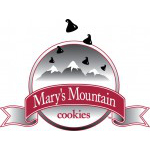 VFuel, New Belgium, Mary’s Mountain Cookies, Squirrel’s Nut Butter, and Great Harvest Bread Company.